This style uses the same basic techniques as described in the previous lessons with one slight difference. Some slide players use this method on acoustic guitar as well as electric - personally I prefer to play acoustic slide without the damping. Although this is only a minor change to your technique you may find it feels a bit uncomfortable and strange to start with . The finger touching the string creates drag making it a bit harder to slide. Stick with it for a while and you'll get used to the feel of it. Tune up to open E and with a bit of luck your action will be just right for slide. The good thing with this method is that it is completely reversible so you can fairly easily get the action back to what it was before if required. 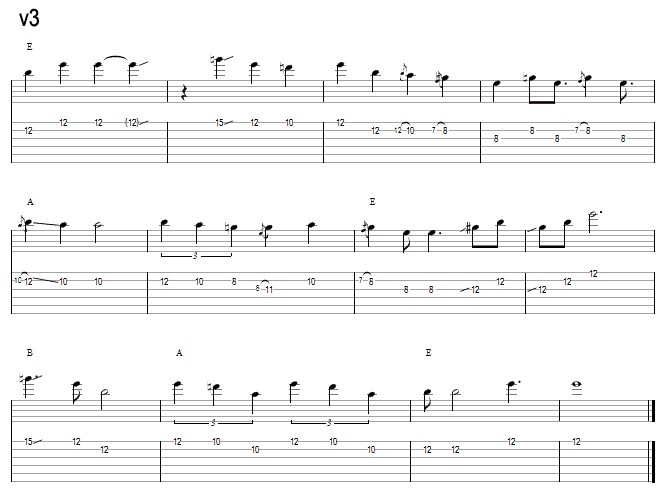 This is 3 times round a 12 bar sequence - marked v1, v2 and v3 on the tab . The key is E - the chord sequence is marked above the score. The first verse is played with L/H fingers rather than slide - I put this in to give a bit of contrast but also to encourage you to learn to play the tuning without using the slide. 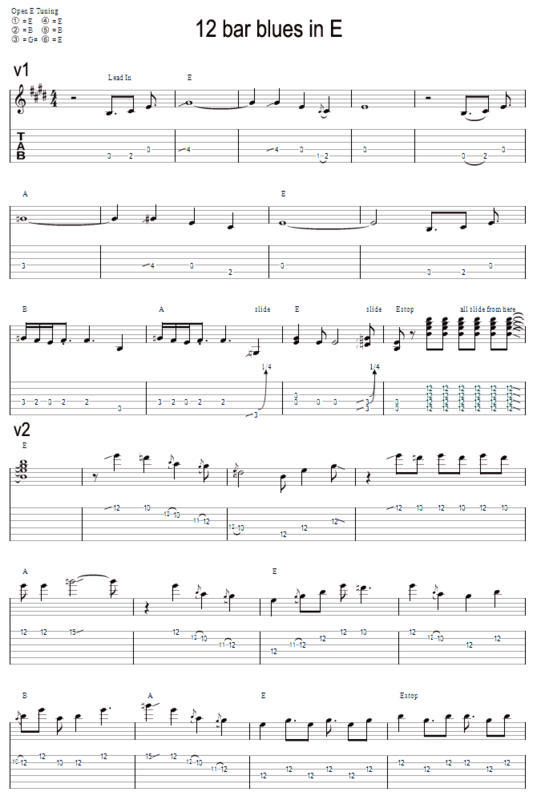 Verse 2 is all slide played around the 12th fret. 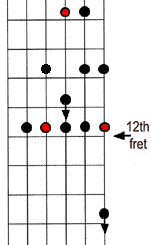 I have put a fret diagram of all the slide notes I use - the red dots are root notes - the 2 dots with arrows I always sharpen.